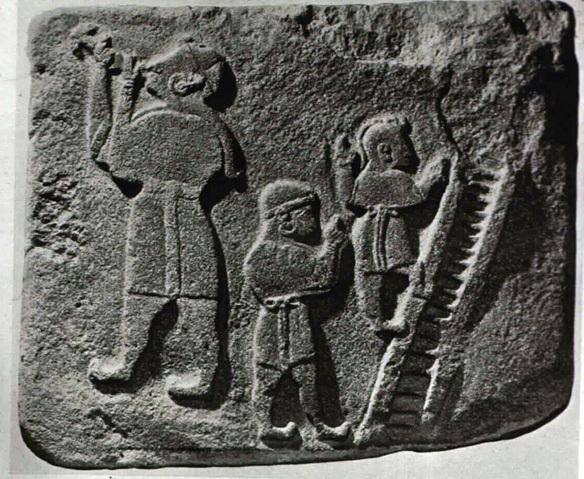 Indian Fakirs 2000 BC (India) Sword swallowing originated thousands of years ago in India by fakirs and shaman priests who developed it, along with fire-walking on hot coals, snake handling, and other ascetic religious practices, as demonstration of their invulnerability, power, and connection with their gods. 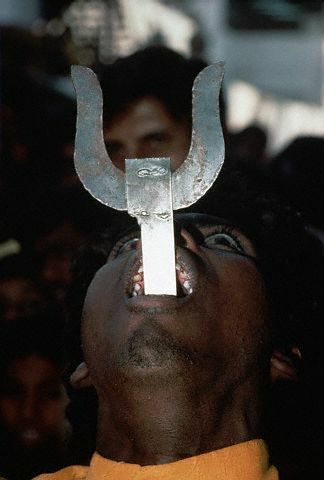 Sword swallowing is still popular in certain parts of India, and there is said to be a tribe of sword swallowers in the state of Andhra Pradesh who pass down the art of sword swallowing from father to son. Greeks and Romans 1st centuries AD (Greece/Italy) From India, sword swallowing spread to China, Greece, Rome, Europe, and the rest of the world. Sword swallowing was often seen at festivals throughout the ancient Roman empire. (Roman Empire) Swordswallowers are mentioned in 410 AD during the Teutonic fight for Rome. 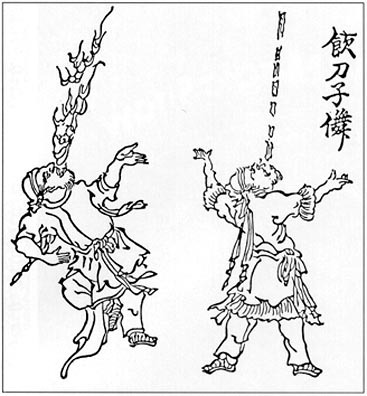 Chinese 750 AD (China) The art and practice of sword swallowing travelled north from India into China around 750 AD. Japanese 750 AD (Japan) Sword swallowing was popular in Japan in the 8th century and was often seen as part of an acrobatic form of entertainment known as Sangaku, which also featured juggling, tightrope walking, contortion, and other related skills. 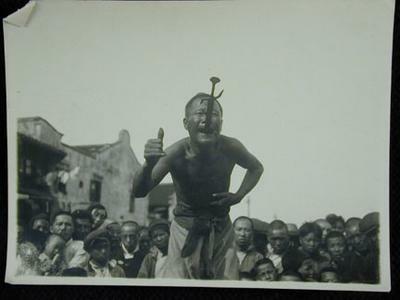 This type of performance art was "street theater" and the performers traveled throughout Japan. Sangaku, like other forms of drama popular in Japan prior to the 11th century, traced its origins to southern China and India. Dervish Rifai Sufis 1182 AD (Middle East) The Dervish Orders of the Sufis reflect the meeting of Islam and Hindu thought in the 8th century. Dervish is Persian for "beggar." Some Dervish orders wander, others beg alms, and others live in Sufi monasteries. Some are religious entertainers hired to chant the zikr dirge, and some only perform Dervish ceremonies on special occasions. Dervishes are known for working themselves into frenzies and committing great feats of strength (this is where we get the term "Whirling Dervishes"). One of the Dervish orders founded in 1182 was the order of Rifais who eat glass, walk on hot coals, and swallow swords. Europe 1200-1893 (Europe) Sword swallowing spread north from Greece and Rome into Europe at the hands of medieval jongleurs and other street performers who performed in public areas. In the Middle Ages, sword swallowers, like magicians, jugglers and other entertainers, were often condemed and persecuted by the Catholic Church. Still, in most places they were popular by the common folk, and the tradition of the wandering entertainer remained strong. By the mid-17th century, performers wandered more freely and became common sights on street corners and at festivals across Europe. Sword swallowing began to die out in Europe in the late 1800s, and in Sweden in 1893 when variety shows were formally outlawed.